The unique challenges and unrivalled rewards of the winter mountains require a whole host of skills including the correct use of crampons and ice axe, and avalanche evaluation. 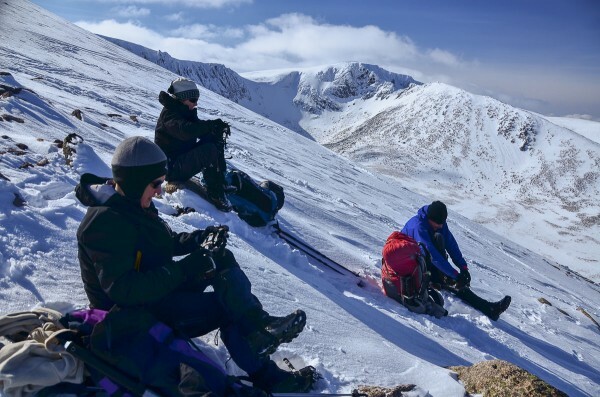 Walkhighlands is offering a Winter Skills weekend, run by experienced and qualified guides from Scot Mountain Holidays and based near Aviemore in the Cairngorms. Extend your hillwalking skills to tackle winter mountain days safely alongside other Walkhighlands users. The weekend course costs £245 including all accommodation and delicious, award-winning food. Learn new skills and make lifelong friends while enjoying two practical days in the stunning Cairngorms scenery. Pick up/drop off is available from Aviemore station or Inverness airport. This introductory course is suitable for anyone who regularly hillwalks and has summer navigation skills and is a solid foundation for any aspiring winter walker or climber. Scot Mountain Holidays have been operating from Boat of Garten since 1998. The winter skills courses will be run by Andy Bateman, a fully qualified Winter Mountain Leader. Further details and how to book can be found here.